is one of those written with passion, commitment and professionalism. We are a bunch of passionate people. Sure we love nature. We love birds off course, but that is not everything. There is so much to love about nature. There is nothing like the solitude of the jungle, the sounds of dawn, the thrill of spotting a Jaguar that ignores you or that Manned Wolf that couldn’t care less… Those moments can mark us deeply, and we love sharing them. We believe that the keys for a remarkable nature experience are good planning and local knowledge. Our tours rely on well-designed itineraries, attention to logistics, and most important of all, personable and well experienced local guides. A good birdwatching, photography or natural history guide should be a person that not only enjoys nature, but enjoys sharing nature with other people and takes guiding as a serious profession. 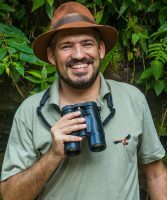 Giuliano Bernardon, Senior Leader and Director at Birding Pantanal, has being a professional guide since 1998, leading tours throughout Brazil. He has co-authored the definitive field guide entitled “Birds of the Pantanal” (Aves do Pantanal) and a few papers on ornithology. All of our leaders share Giuliano’s passion and commitment and are specialist in the areas where they guide. Our company is based in Cuiabá, Mato Grosso state, the Geodesic center of South America and a strategic gateway to the Pantanal, Cerrado savannas and the Amazon. Giuliano Bernardon is a full time birding and photography guide. Passionate for natural history since his childhood, he first found in nature photography a way to be closer to nature and learn about it. 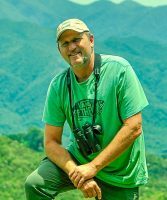 Being a professional guide for more than fifteen years, he leads Birdwatching and Photography tours to several parts of Brazil, including the Pantanal, the Amazon, the Atlantic Forest and the Cerrado areas – the Savannas of central Brazil. He is responsible for several new records for the areas where he birds, and regularly contributes for ornithological and environmental researches. In 2012, Giuliano has co-authored a new field guide to the birds of the Pantanal, Aves do Pantanal. His knowledge on natural history and photography has helped several professional photographers, and among the filmmakers he led are National Geographic and BBC crews. Giuliano loves sharing his country and it’s wildlife with other people, and his easy-going personality greatly enhance his tours. As a lecturer he has spoken about birding and nature tourism for several audiences, from fellow guides to tourism policy makers. His travels and guiding work were featured on Wild Travel Magazine, Tam Airlines Magazine and the book Amo Viajar, from Editora MOL. 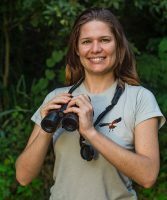 Introduced to ornithology as an early graduate student, Bianca Bernardon is a field biologist and holds a master’s degree on the ecology of the Mato Grosso Antbird, accomplished after extensive field research in the Pantanal. Bianca is one of the persons who influenced her brother Giuliano in to ornithology and, on the other hand, was influenced by her brother to become a professional guide and start leading nature tours. Birdwatching tours and field research have taken Bianca all over Brazil, including the Pantanal, the Cerrado (Brazilian savannas), the Amazon, and the endemic-rich Atlantic Rainforest and Northeast Brazil. With a deep knowledge and respect for all places and creatures, she is not only very skilled with birds and other animals but, thanks to her nice personality, she is also very skilled with people. 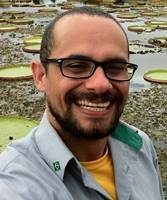 Leonardo Patrial is a Brazilian biologist and ornithologist whose passion for nature developed still as a little kid, on the many camping and fishing trips taken with his family. Fluent in English, he moved to the USA at the age of 17, where he went to High School in Fort Scott, Kansas, and joined the Hunter Education Course offered by the Kansas Wildlife Department. Back in Brazil, he got his degree in Biology, specializing in Conservation Biology and Wildlife Management. In 2007 he moved with his wife and daughter to the coast of Northeast Brazil, where they have a restaurant in Itacaré, State of Bahia. There he discovered the astonishing nature and biodiversity of the area, and started guiding birdwatchers, photographers, and nature lovers who would come for the many endemic birds and mammals or the many scenic places in the state of Bahia, such as Boa Nova, Itacaré, Serra Bonita, Canudos and Chapada Diamantina National Park. He is now our Northeast Brazil specialist and guides pretty much anywhere in this vast part of the country, as well as in the Pantanal, Cerrado of Central Brazil, Southern Amazon and Southeast Brazil. Our Rio de Janeiro specialist, Ricardo Barbosa is a journalist that saw his life change in 1989 when he decided to follow his passion and a career in tourism. Living in Rio for most of his life, he is our insider there with an extensive knowledge of the city and its gems, be it the tourism attractions, the restaurants, the culture, or the people. His passion for nature started at an early age, with the birds that his father used to have in cages at home… but it was only in 1990, while guiding a couple from Florida, that he saw a bird through binoculars for the first time: the gorgeous Brazilian Tanager, and it was love at first sight. A month later an unexpected package arrived at his home with a gift that would change his life again: a pair of binoculars, sent from his new friends from Florida! Since then Ricardo developed an extensive knowledge of the birds, mammals and everything related to the nature of his area, guiding not only in Rio but in all major birding sites and nature reserves in Southeast Brazil. A very professional, accommodating, good humored and easy-going leader, he is the kind of guide that makes life-long friends on every trip he leads! Sergio Freitas is one of those nature enthusiasts that have the job of his dreams. His first contact with the Pantanal and the Amazon happened while he was studying Biology and had the opportunity to travel to these areas a few times, during the field classes. Later, while doing his master’s degree on ecology and biodiversity conservation, he decided to research the fishes of the Pantanal. He published several papers and articles on ecology and climate change, and even described new species of fish for the Pantanal basin. While doing his field research in the Pantanal he saw the possibility of working as a guide, and felt in love for this new profession. 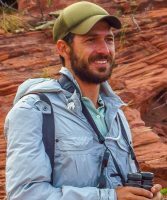 While on tour, Sergio is a very patient guide committed to provide our clients the best possible experience, be it a photographer on assignment or a family on vacation, always sharing his vast knowledge of ecology, natural history and animal behavior. When not guiding, Sergio dedicates his time to his PHD on Environmental Sciences. Victor do Nascimento was born in a ranch in the Pantanal, where his father used to work as a cowboy. He grew up there, and during his childhood developed a deep connection with this habitat and the wildlife around. He used to work as a tractor driver at the ranch when one day, in 1993, he had the opportunity to guide some tourists around the property. That was the moment his life started to change, and Vitinho began to study more and more about the nature he already knew so well. In his pursuit for knowledge he travelled to other countries with bigger tradition on eco-tourism, such as Costa Rica, and spent almost a year in South Africa, learning about game tracking and safari guiding. 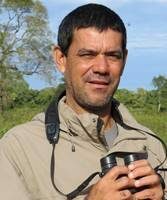 Over the years he learned English, improved his guiding skills and became one of the best birders in the Pantanal and Cerrado of Brazil, always helping and teaching new birders and guides. He lives with his wife in Bonito, MS, near a nature reserve where he can often be found when not guiding. Marcelo da Rocha is a person that not just loves nature: being in nature is his life, his religion, where he finds himself happiest and inspired. He grew up in a small rural village near the Iguassu river in Brazil, and as a young kid he used to have insect’s collections and chase all the creatures that made a visit to his backyard. He used to walk by a forest reserve on the way to school, and that was too tempting… when he was 12 he would often skip classes to spend hours in solitude in that forest, exploring, observing and learning. 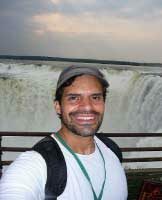 This naturally led him to chase a job in tourism, so he started leading visitors to the amazing Iguassu Falls. It was while guiding on the forest trails near the falls that he had the opportunity to be with some birdwatchers for the first time, and he soon became a birdwatcher himself. Marcelo has a degree in Tourism, speaks Portuguese, Spanish, English, French and Italian. Our Iguassu Falls specialist is an avid learner, and has a vast experience leading birdwatchers and all nature lovers to his wonderful place, as well as to other sites in the Atlantic Rainforest and to the Pantanal.